The Badcompany sport fishing charter boat comes with three state rooms, two full baths, two water makers, two generators all electronics a large fight chair for fighting with the fish, all professional high performance equipment, 54ft Bertram, full AC connections and a full kitchen. The Badcompany fishing charter is fully equipped with state-of-the-art fishing gear from Shimmano Tiagras. You will be accompanied by three man crew, a captain and two deck hands. Live bait wells, twin Turbo 1292 Cummings diesel. 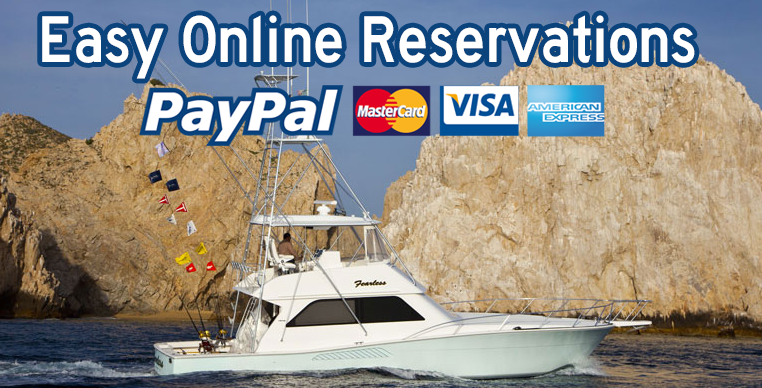 And this costs only $2600 per day for eight full hours.Chartering a ship or yacht’s with Cabo San Lucas fishing charters is very simple and relaxing once you are on the boat they take care of everything.